At Brian Robinson Machinery (BRM), we have an obligation to our customers to ensure that you know your farm machinery is safe to use. A regular BAGMA Thorough Examination or Loler test can highlight any safety issues. You will of course, get the best out of your new or used farm equipment if its in peak condition. LOLER and PUWER tests are two of our most vital services. Intricately designed testing processes highlight any important issues. To legally maintain your industrial and agricultural machinery frequent testing is necessary. Whether done on their own or combined (Thorough Examination) they offer employers legal protection and peace of mind. As this is a regular requirement for any lifting or braking machine, let us help reduce your workload. BRM is here to guide you swiftly through both processes as easily as possible. 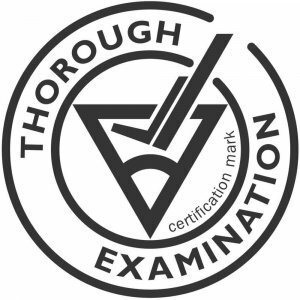 With four BAGMA trained mobile Thorough Examiners, it makes sense to work with the most experienced testers in North Yorkshire and the North East. Lifting Operation and Lifting Equipment Regulations (LOLER) have been a legal requirement in Great Britain since 1998. The reason behind their introduction was to minimise the risk of workplace injuries from using lifting equipment. LOLER covers all lifting equipment and accessories, including the likes of telehandlers and forklift trucks. The frequency of testing depends on the type of equipment but will be either every 6 or 12 months. Provision and Use of Work Equipment Regulations (PUWER) also became a legal workplace requirement in 1998. These requirements have a much broader responsibility. They not only assess the condition of workplace equipment but also the skills of the operators. Therefore the intention of PUWER is to ensure that equipment is suitable for its intended use and maintained safely. It is also to check that it is used by fully trained staff. PUWER also oversees health and safety measures, such as emergency stop devices.